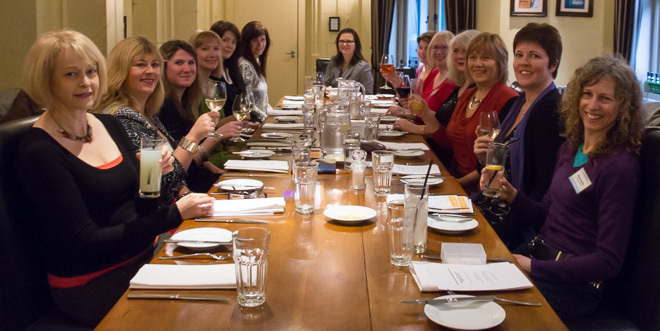 You’re already running a business and you’re serious about your marketing so why not book right now for the next networking lunch at the Hotel du Vin? Unless otherwise advised, the Brighton Premier Networking Club holds its events from midday on the first Wednesday of every month. If you’re a member, booking through Evenbrite is free. For guests, there’s a fee of £26.00 for each event, which covers lunch and a complementary glass of wine or a soft drink. Guests are welcome to attend twice. After that, we’d like to ask you to join. Make a note of the dates below and make them your networking lunch days. What Happens at Our Lunch Events? To coin a phrase, the Brighton Premier Networking Club mixes business with pleasure. Everything starts at midday on the first Wednesday of each month, when members and guests greet each other and enjoy a complementary glass of wine or a soft drink. This time is used to exchange ideas or to catch up with developments in our businesses. We’re always delighted to hear about successes but ready to offer sympathy and support if things aren’t going so well! 12.30pm: Time to take a seat for a friendly welcome from our Chair. Before lunch is served, each member is invited to deliver her own “elevator pitch”: 60 seconds to speak about what she does and the benefits of her business. No selling as such, but a great opportunity for us to remind each other about our services. 1.00pm: Continue networking as a delicious lunch is served by the friendly and courteous staff at the Hotel du Vin. 1.50pm: Learn more about one of our member’s businesses or pick up some valuable industry tips during a 10-minute presentation. 2.00pm: We like to brainstorm business topics by sharing our challenges, solutions and successes. Alternatively, we may expand further on what we do in low-key small groups. 2.15pm: The event draws to a close. Interested? Why not get in touch to find out more.